Travis Heights Elementary School > School Event > Be of Service..
Our Thunderbirds start young doing service to the community! 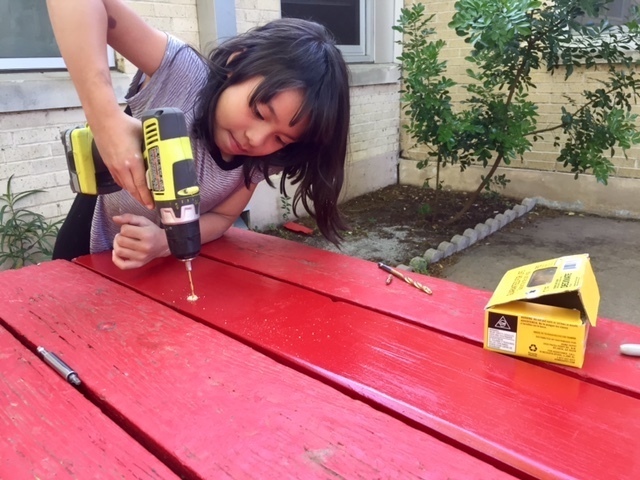 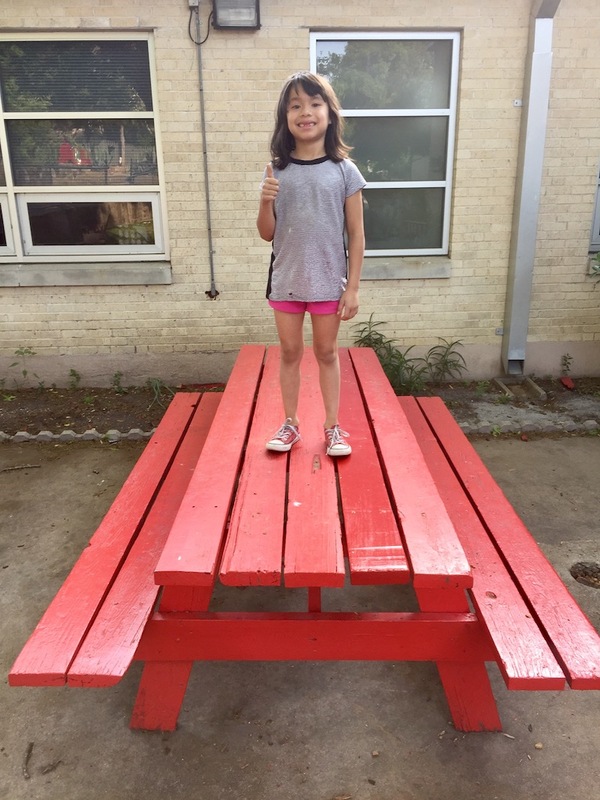 Phoebe and her dad, Kevin McPherson, fixed our red picnic tables in front of the cafeteria. Thank you to them and ALL our volunteers!